In your minds eye you see a meadow, covered in soft, green grass. Dotted through the soft, lush, green grass are flowers of all colours. See your self walking through the meadow. Feel your feet embraced in the coolness of the grass. Feel how soft and delicate it is on your feet. The sky is clear and blue and rays from the sun gently caress your body, filling it with warm waves of energy, allowing you to be totally relaxed. Breathing gently and easily now, you see tall majestic trees reaching to the warmth and light of the sun. The leaves and branches sway to and fro in the gentle breeze. Approaching the trees, you come to a crystal clear, babbling brook. Walking alongside the brook, you hear birds chirping, flitting from tree to tree. The sun’s rays shine through the branches of the trees, directing and guiding you to move further downstream. Before you is waterfall. Water is cascading and caressing the smooth rocks surrounding the falls. A fine, delicate mist rises as the water falls to the brook below. Moving closer, you see a pathway under the waterfall. The water is purifying, cleansing and refreshing. Move along the path under the water. Feel it pour gently over your body from the top of your head, through your body and out through your feet. This crystal clear, warm water cleanses away all old beliefs, all fears, all resentments, all apprehensions, and especially washes away all feelings of lack. Feel these being washed away completely. Stay in this space awhile. Feeling or perhaps seeing what is being washed away. See it all dissolved. You are very comfortable with this. Don’t be concerned if you don’t see anything now, it will come. I release all ideas and beliefs of lack in my life. I now open myself to receive my divine abundance. I choose and accept an abundance of prosperity into my life now. I am prosperous in good health. I am prosperous in love. To know more About Meditation, click here. 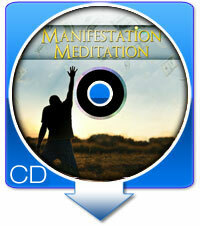 To know morea about the Meaning Of Meditation, click here. Be a light to others and you wont stumble on your own path. Meditation is a process of careful thought consideration. 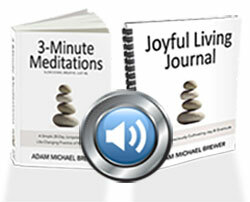 Learn 3 Minute Meditation Now! Learn To Manifest Your Desires Now!